The newly renovated Westin Alexandria Hotel is steps from the U.S. Patent and Trademark Office, and just a short drive from Reagan National Airport and Washington, D.C. Thrive with onsite dining, fitness, meeting and event spaces, and recharge in one of our guest rooms and suites as you unwind in The Westin Heavenly Bed® before a day of activity enjoying the many boutiques and restaurants in Old Town Alexandria. We look forward to welcoming SITE 2018! Room rates are quoted exclusive of other applicable state and local taxes, or hotel specific fees in effect at the hotel at the time of the meeting. A deposit equal to on night’s room and tax will be charged at the time a guest makes a reservation, and upon check-in, will be applied towards the guest’s bill. Deposits paid by guests are refundable if notice is received by Hotel at least 3 days prior to arrival and a cancellation number is obtained. Make your SITE 2018 hotel reservations online now! You may also call 866-837-4210. You must identify yourself as an SITE attendee to get the correct rate. Washington, D.C., officially called the District of Columbia, is the capital of the United States. It was founded on July 16, 1790 and today has a city population of 599,657. It should be noted however, that during the week, Washington, D.C.’s population rises to well over one million people due to suburban commuters. In 1790, Congress directed selection of a new capital site, 100 sq. miles, along the Potomac River. When the site was determined, it included 30.75 sq. miles on the Virginia side of the river. In 1846, however, Congress returned that area to Virginia, leaving the 68.25 sq. miles ceded by Maryland. The seat of government was transferred from Philadelphia to Washington on Dec. 1, 1800, and has remained in D.C. until present day. In 1801, the Organic Act officially organized the District of Columbia and it was expanded to include Washington, Georgetown and Alexandria. D.C. is home to all three branches of the U.S. government as well as many international organizations and the embassies of 174 foreign nations. Though it operates as the center of U.S. government, it is still considered separate from its neighboring states (Virginia and Maryland.) D.C. is governed by a mayor and a city council, but the U.S. Congress has the highest authority over the area and can overturn local laws if necessary. The federal government and tourism are the mainstays of the city’s economy, and many unions, business, professional, and nonprofit organizations are headquartered there. Washington, D.C. currently has a large growing economy that is mainly focused on the service-sector and government jobs. In addition to government jobs, Washington, D.C. also has industries related to education, finance and research. Among the city’s many educational institutions are the Catholic University of America, Georgetown University, Howard University, and Gallaudet University. Cultural attractions include the National Gallery of Art, the Smithsonian Institution, the John F. Kennedy Center for the Performing Arts, and the Folger Shakespeare Library. Washington, D.C. is world renown for its historical background and is considered a cultural center of the U.S. 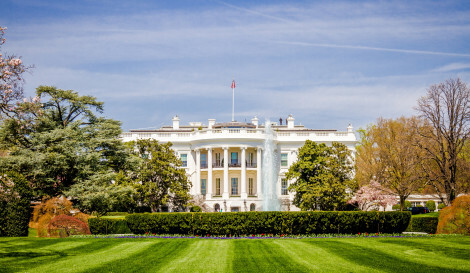 Among its many iconic American landmarks are the US Capitol and the White House, as well as the National Mall, the National Museum of Natural History, The Washington Monument, and the Lincoln and Jefferson Memorials, just to name a few. There is so much more to discover and so many pieces of American history you can experience. We expect Washington, D.C. and the surrounding area to provide a wonderful backdrop to another exciting AACE conference. For more information, please visit: Washington.org & AACE.org. © 2015 Copy compiled from Washington.org. infoplease.com, and geography.about.com. Top photos provided by Destination DC and iStockphoto.com. The Westin Alexandria is offering free shuttle service to downtown Alexandria for SITE guests! AIR: Ronald Reagan Washington National Airport (DCA) is approx. 5 miles (15 min. commute) from the conference hotel. Washington Dulles International Airport (IAD) is approx. 30 miles (50 min. commute) from the conference hotel. GROUND: The Westin Alexandria does offer shuttle service to limited locations in the surrounding area. Be sure to inquire about transportation when booking your stay.